Assembly member’s bill proposal hopes report would yield possible solutions. SACRAMENTO — The California Ocean Protection Council could be required to study the sources of plastic pollution in our ocean and produce its findings by Jan. 1, 2019, ultimately giving policymakers direction in pursuing solutions-oriented action to clean up local and regional waters. Assembly member Richard Bloom (D-Santa Monica) introduced a bill to address ocean waste and plastic pollution along California’s coast. The proposal, Assembly Bill 1594 (AB 1594) would rely upon completion of a mandated study to drive future policy and strategy decisions to prevent or reduce plastic pollution. Bloom’s proposal would include recommendations for legislative action and other strategies the state could possibly implement to reduce plastic pollution at state beaches and in ocean waters. A substantial amount of plastic is not being recycled, instead being found in local and regional waterways, according to Bloom’s proposal. 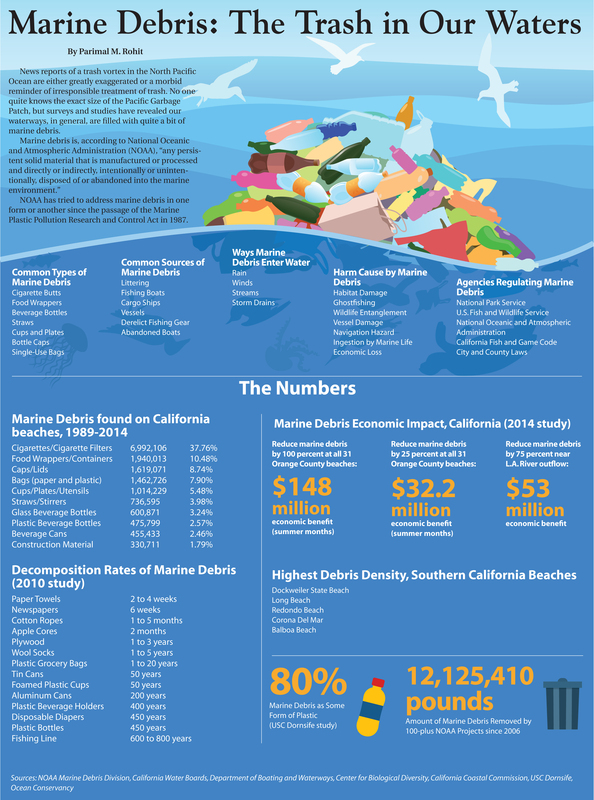 The amount of plastic in the water could outweigh fish within the next 33 years, according to AB 1594. AB 1584 acknowledged stormwater runoff carrying plastic litter is increasingly threatening aquatic and marine environments. A member of San Pedro Yacht Club recently shared photos with The Log of marine debris brought into Los Angeles Harbor from a nearby channel immediately after a late February rainstorm. Plastic, wood and other forms of trash are clearly visible in the water. 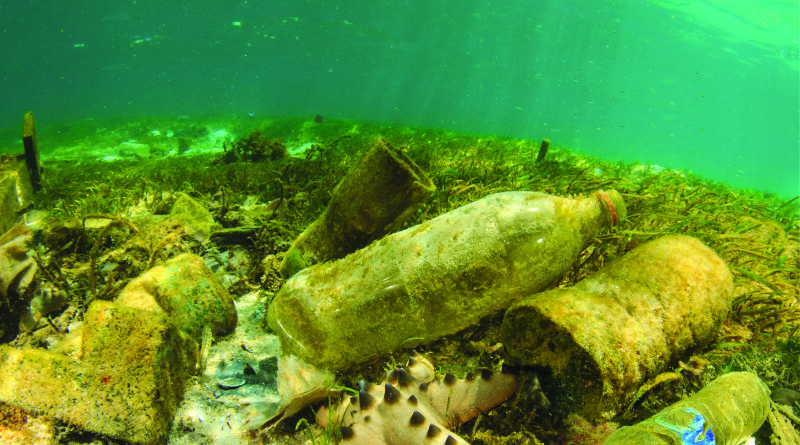 The National Oceanic and Atmospheric Administration (NOAA), citing data from the Environmental Protection Agency (EPA) and Woods Hold Sea Grant in a recently published survey on marine debris, stated plastic beverage bottles could take at least 450 years to decompose. Decomposition is defined by NOAA as an item becoming so microscopic in size it is no longer visible. A plastic grocery bag could take up to 20 years to decompose, according to the NOAA survey. Similar data was shared on an infographic published in the Dec. 30, 2016 issue of The Log newspaper. NOAA’s survey stated the top marine debris items, in rank order, are cigarette butts, food wrappers, plastic beverage bottles, plastic bottle caps, straws/stirrers, plastic grocery bags, glass beverage bottles and “other” plastic bags (such as garbage, newspaper and sandwich bags). A 2010 report cited by California’s Water Board found 73 waterways within the state had impaired water quality due to large amounts of trash. AB 1594 was introduced Feb. 17 and will be heard in committee on March 21.